But I didn’t take the trade. I walked away from a nice setup in a pair that has been a solid money maker. Why? 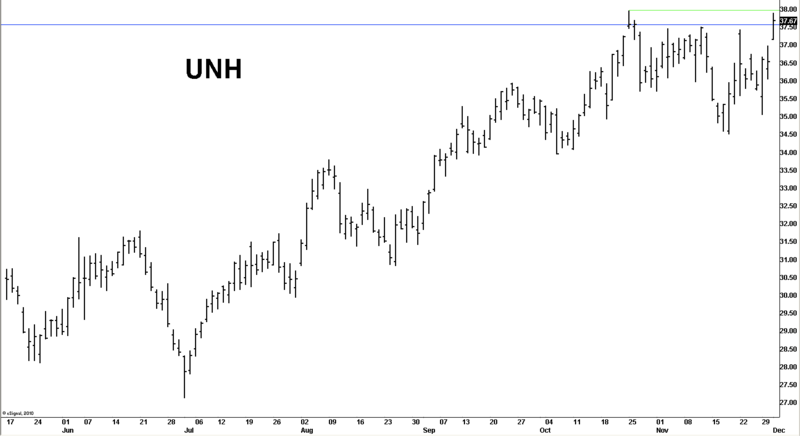 I do not short anything making a 52 week high or trading dangerously close to a 52 week high. It’s a simple rule based on solid mathematic principles detailed here. 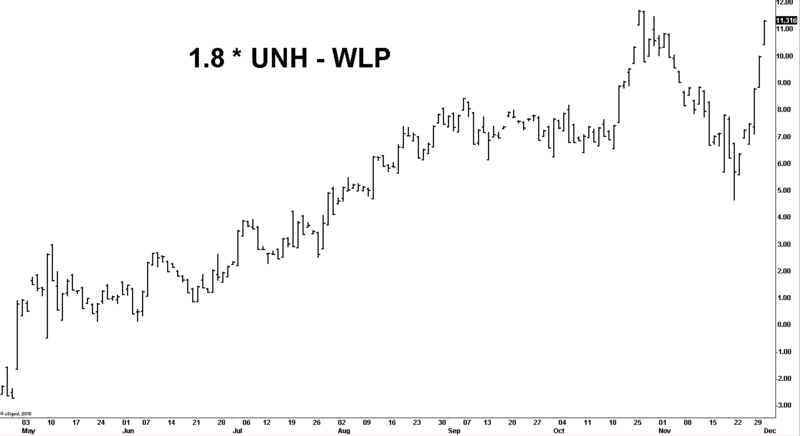 Below is UNH brushing up against its intraday 52 week high, and closing above its 52 week daily close. For those of you keeping score at home: the daily close is the print that matters. Yeah, it’s old school, but it’s also true. This trade, or lack of, even comes with a soundtrack.